I have been a lurker for a while and jumped head first in to brewing and built a Brutus 10 clone using keggles. I am a pipe fitter from the Chicago local 597 pipe fitters union and specialize in digital and pneumatic control systems and obviously pipe fitting primarily using stick and TIG welding.... Moral of the story building a home brewery fits right inside my wheelhouse and was fairly simple. The harder part is learning about the actual process. I suppose I am in the market for a local homebrewer(s) whom would like to show me the ropes on a user friendly all grain system in exchange for $, beer, welding, etc. My single tier system is almost complete and will be begging to be lit up and brewing! I am lucky enough to have a large, heated garage and brewing in the winter is a safe comfortable experience and I am ready to jump in! 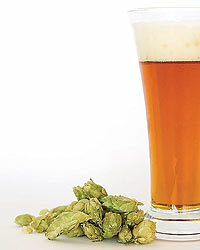 Lemme know if you are an AG brewer willing to help out a newbie.